Choosing a tyre type really depends on what you want to get from your tyres, how long you want them to last, how you drive your car and what season it is. 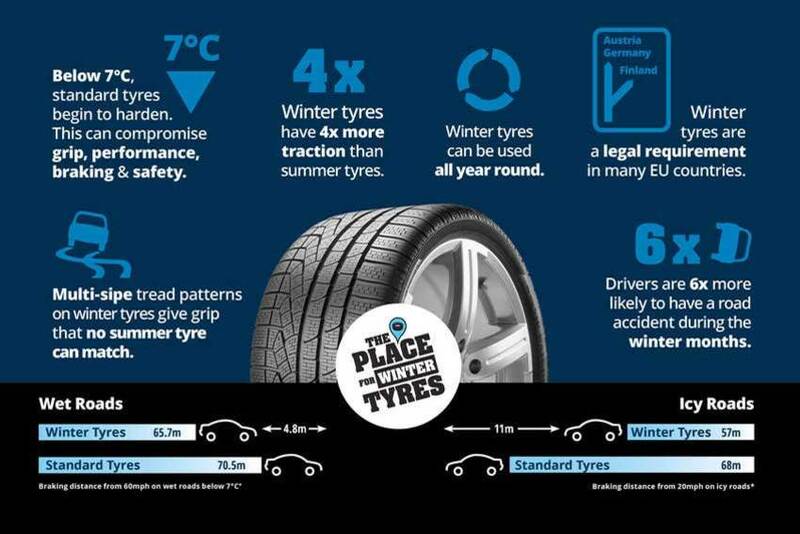 In temperatures below 7°C, winter tyres will provide you with the best safety, grip and performance. If you don’t want to spend too much, budget tyres provide decent levels of performance, but may need to be replaced sooner than mid-range or premium tyres. To increase the life span of your tyres, it’s important to keep on top of your tyre pressure. If you’re not sure how to do this, watch our video: how to check your tyre pressure. You should replace your tyres when you have reached the legal minimum tread depth (under 1.6mm across the central three-quarters of the tyre for the whole circumference). Cross-climate tyres are the newest to the market. They are suitable for all weathers, as they are made from a revolutionary material that is capable of reacting to summer and winter road conditions equally well. These tyres can adapt with ease, so if you’re driving in the UK, you can rest assured that your tyres can cope with the typical British four-seasons-in-one day weather! You won’t need to change your tyres in summer and winter, as cross-climate tyres can adapt to road conditions for both. Safety assured in all weathers. Braking is increased on both wet and dry roads. Winter tyres provide improved performance in temperatures below 7°C. Below this temperature, standard tyres begin to harden, compromising grip, performance, braking and safety. Winter tyres use a blended rubber and silica compound and feature a multi-sipe tread pattern, which allows for improved grip, meaning you can accelerate, corner and brake more efficiently. Winter tyres – are they worth it? Increased safety in cold weathers. Brands: Hankook, Continental, Dunlop, Goodyear, Michelin, Pirelli. As with many things in life – you get what you pay for. With premium tyres, they are made from superior rubber compounds and have improved construction and tread design, meaning they need to be replaced less often than standard tyres. Steering and grip are vastly improved as a result of these materials and tread patterns. Rolling resistance is reduced, leading to reduced fuel economy and emissions. Premium tyre manufacturers work closely with car manufacturers to ensure the best compatibility is achieved. Premium tyres feature the most advanced technology. Billions are invested in research and development by the top brands, and the best engineering expertise goes into crafting each tyre. Brands: Bridgestone, Continental, Dunlop, Goodyear, Michelin, Pirelli. These are the cheapest option on this list. 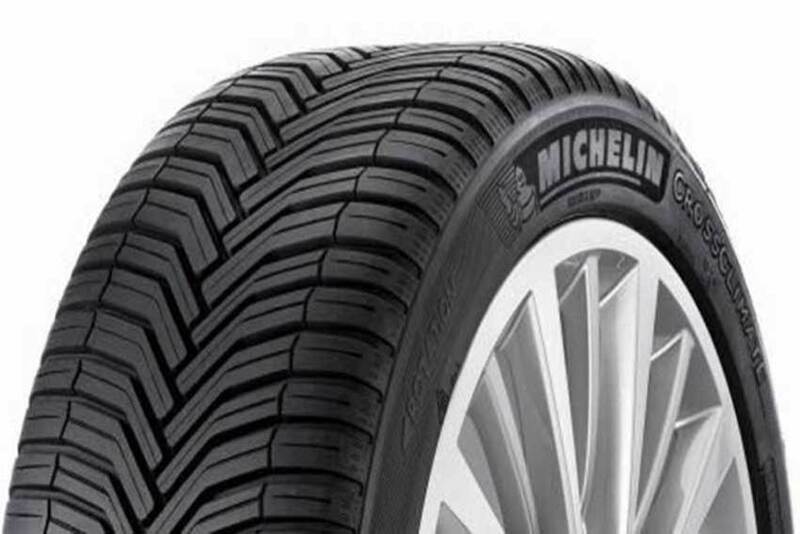 Budget tyres are suitable for lower-mileage vehicles and perform best in temperatures above 7°C. Budget tyres take cues from premium tyres, often following similar design and manufacture techniques, ensuring good grip and safety. These tyres offer a good middle ground if you’re not sure which tyre type to opt for. Sitting in-between premium and budget tyres, mid-range tyres offer affordable performance. Quality and safety is ensured at a great price. Have more confidence in safety and performance than you get with budget tyres. Mid-range brands bring excellent technology and development, despite being less well known. Mid-range tyres can last a long time, depending on how you drive. Brands: Hankook, Kumho, Marshal, Toyo, Yokohama.